A selection of motifs available, please enquire if you don't see exactly what you are looking for we may have one in our archives. Line drawing illustration of your venue from a photograph. Price depends on the complexity. 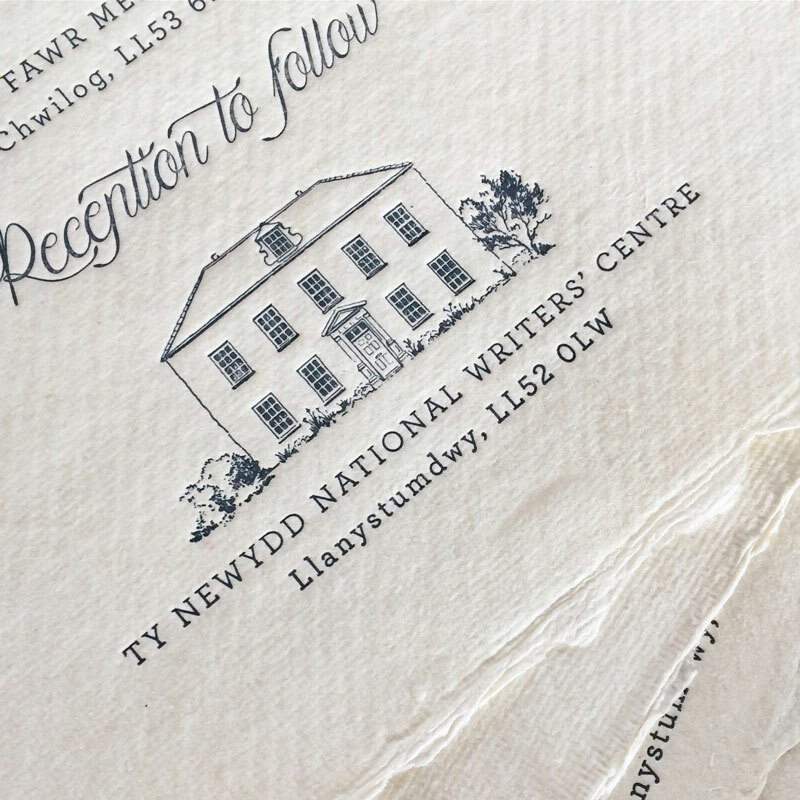 The illustration can be incorporated into all aspects of your chosen stationery to add that personal touch. 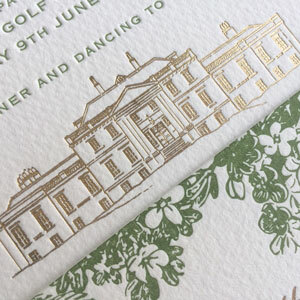 From simple minimalist style or hand drawn to match your invitation design. If your venue already had a venue motif please supply a hires file. If you have a family crest we can use this on your stationery for a very personal touch. Venue crest may also be available, please get in touch to find out more. Below Haworth design, the monogram was replaced with the Leez Priory crest.